Photo: A great family-run guesthouse. Amid the small lanes around the north end of Jalan Monkey Forest, dozens of family-run homestays offer basic rooms at varying value, but one of the best in this pocket is Aurora House. 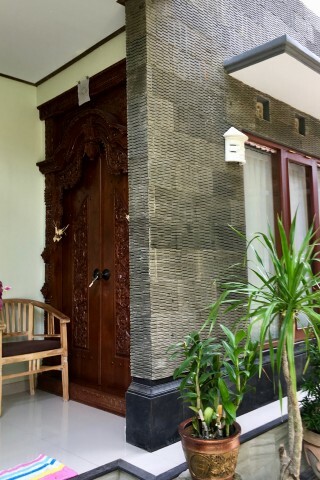 Set along one side of the family compound, the small hotel hides tiny, but sweet modern-styled rooms behind elaborate carved traditional wooden doors. The tiled air-con rooms are bright and clean and a whitewashed wooden bed all but fills the room, just leaving space for a bedside table and lamp in the room we viewed. Fresh paint, colourful bedding and traditional artworks brighten the mood and instill a homely atmosphere. Simple tiled ensuite bathrooms are spotless. Mosaic tiles with modern-styled hot-water rain-showers move the rooms up a notch from most at this price. Furnished terraces fitted out with cushioned wooden armchairs and small tables are a pleasant nook for relaxing. A simple included breakfast is served in an open pavilion in the garden set with low tables and cushions on the floor enabling an opportunity to meet other guests. A smal, but complete kitchen is available for guests to cook, or simply store a few coldies in the fridge. The owners are exceptionally friendly and helpful. They can organise tours and tickets and motorbike, car and bicycle hire, and as the sign says, “We have everything else you need." 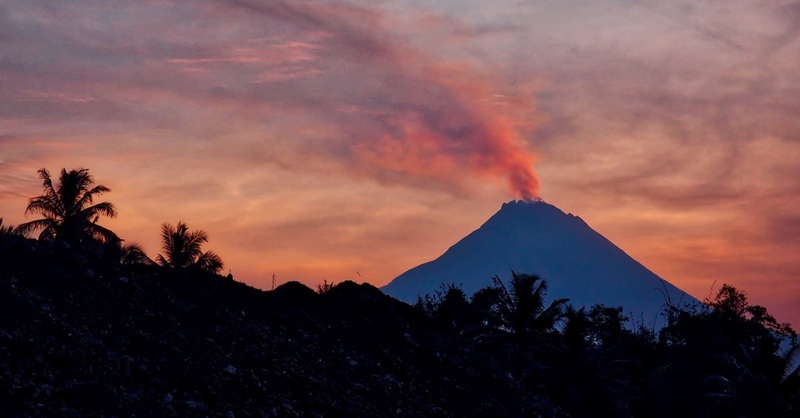 Nearby alternatives for the same outlay include Pelangi Bungalow, which offers clean air-con rooms in a pretty garden, and Sadru House, where some of the clean, fan-cooled rooms have a great view of Ubud’s rooftops. Check rates at Aurora House on Booking.com.